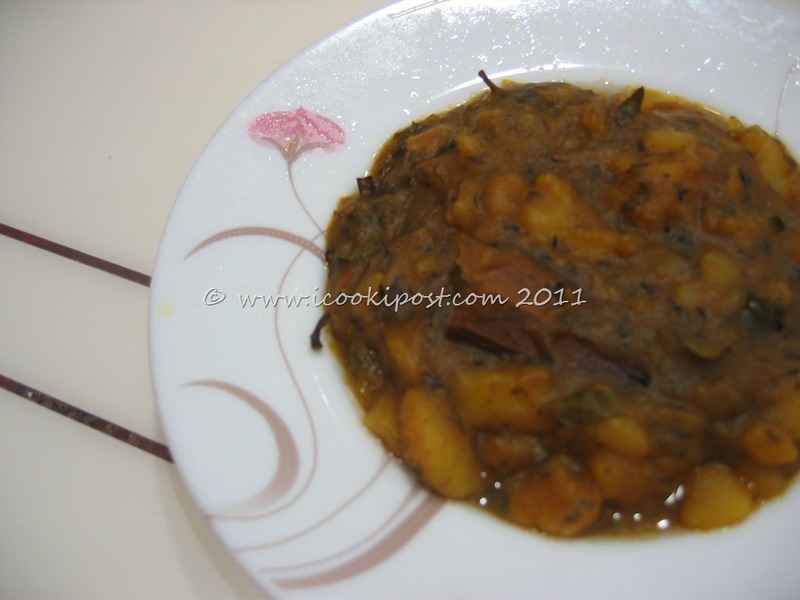 This simple and delicious curry is prepared using boiled potatoes with spices and dried fenugreek leaves.it goes well with chappathi or roti. Heat oil in a pan.Add asafoetida and cook till it dissolves.Add cloves and bay leaf and fry for 20 secs. Add the spice powders mixed with little water,chopped green chilly and crushed ginger.Fry for another 30secs. Add about 4 cups of water and bring it to boil. Add boiled potatoes and salt.Reduce heat and cook till desired consistency is obtained. Sprinkled crumble dried fenugreek leaves to it and mix well.Remove from fire. The actual recipe calls to mash potatoes after boiling.But I forgot to do it. 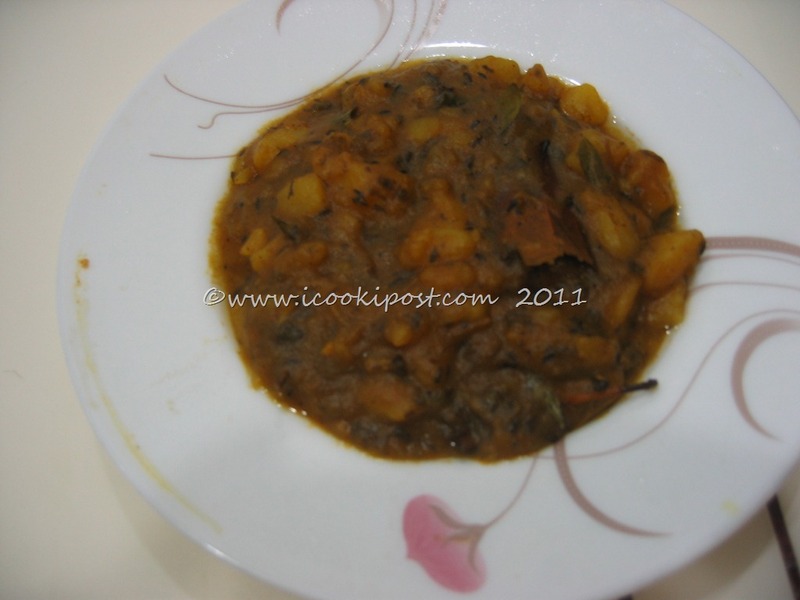 Recipe Source: Indian Fast Food By Pushpesh Pant. Very yummy and delicious curry..